INTERNATIONAL JUSTICE, often translated as the prosecution of war criminals before international criminal tribunals, is an easy target for its many skeptics. They demand proof of a negative proposition, namely that the tribunals and their cases actually deter further atrocities such as genocide. Indeed, they believe that prosecutions, or the threat of them, provide incentives for human rights violators to increase their oppression and avoid peace deals. And at the other end of the spectrum, critics representing an activist civil society pursue idealistic visions of justice and sometimes consider the tribunals so seriously flawed as to merit abandonment. Those of us long engaged in the world of major tribunals, including the International Criminal Court, the International Criminal Tribunals for the former Yugoslavia and Rwanda, the Special Court for Sierra Leone, the Extraordinary Chambers in the Courts of Cambodia, and the Special Tribunal for Lebanon, live with both these varieties of criticism. Both elicit mostly anecdotal rebuttals: the significant number of indicted individuals actually brought to trial and convicted, and the victims’ recognition of some small measure of justice. Despite all of their troubles, the tribunals are succeeding in their mandates and justice is being rendered. 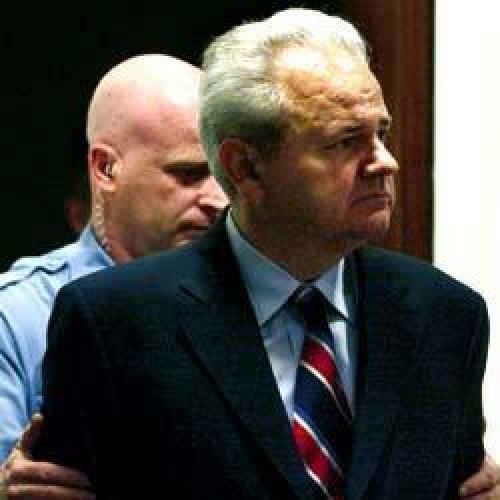 The recent captures of indicted war criminals Ratko Mladić and Goran Hadžić in Serbia, and the International Criminal Court’s arrest warrants against Libya’s Muammar Qaddafi and, on charges of genocide, of Sudan’s President Omar al Bashir, show that a robust and consequential process is underway. That trend is not particularly surprising, as any basic knowledge of world news over the years would demonstrate. But what Sikkink brings to the table is systematic, comparative, empirical research that confirms how the arc of human rights justice has been ascendant for many years. She examines the thirty-year record of Latin American prosecutions in national courts and the fate of the region’s amnesty laws; she contrasts judicial outcomes in the wake of transitional governments in Greece, Portugal, and Spain; she analyzes the impact of the international criminal tribunals; and she criticizes the comparative lack of accountability for the human rights abuses of the George W. Bush administration. Sikkink understands why activists seek an explicit human rights ideal and then find that the reality falls short of their ambitious goals. But what, precisely, is the ideal standard or court that the activist is seeking? Sikkink cautions that the ideal judicial model does not exist. While comparisons to the ideal may be an important form of ethical reasoning, that process must be distinguished from systematic empirical comparison. The latter provides a much richer view into how trials are impacting society. Sikkink posits that prosecutions lead to improvements in human rights practices. Her work shows increases in the likelihood of individual punishment for leaders responsible for human rights violations, and the greater importance of holding officials accountable for atrocity crimes than ensuring the most severe sentence. “Human rights prosecutions allow respectable society to speak with a different voice,” she notes. Sikkink points to a higher level of social disapproval emerging in societies whose leaders are influenced by the mobilization of shame against such conduct. In the field of criminology, these are powerful indicators of how justice for human rights violations becomes embedded in the collective memory. But those seeking immediate evidence of deterrence prior to, or in the wake of, human rights trials are chasing phantoms. The building of collective memory in a society takes time, and it includes the regular coverage of accountability in the media, the writing of textbooks, the making of films, and the powerful impulses of historical fiction among individual readers. Sikkink credits non-governmental organizations with an enormous role in building the international justice system, and her praise is merited. But she undervalues the critical and supportive engagement of key governments, including the United States and its permanent colleagues on the Security Council, in the building and operations of the international tribunals. And alas, The Justice Cascade muddles the record on American policy towards the creation of the International Criminal Court in the 1990s. Sikkink makes the common error of assuming American opposition to the court during the Clinton administration, when in fact the aim was to build such a tribunal, but within a framework that ultimately proved unacceptable to other negotiating governments at Rome in 1998. In the Clinton administration’s final weeks, on December 31, 2000, the United States signed the Rome Statute of the International Criminal Court, an act that reflected significant support for it. The Obama administration has strongly backed one initiative after another by the Hague-based tribunal. Sikkink credits the justice cascade with the rapid emergence of the torture memorandum from the Bush Justice Department after September 11. Only politically weaned lawyers fearful of accountability for the detention and interrogation tactics used by U.S. agencies and their military contractors would vigorously draft such poorly reasoned and blinkered memorandum, which recklessly reinterpreted the law to immunize their superiors. Yet the quest for immunity from prosecution reigned throughout the eight years of the Bush administration, and even today the Obama administration has shielded from prosecution those U.S. personnel who acted on the strength of those deeply flawed memorandum and conducted what common sense alone counseled was illegal. Imagine how certain American officials implicated in the decade of torture and inhumane treatment would fare if confronted with the same standards of legal interpretation and enforcement of international criminal law practiced daily by the war crimes tribunals whose judgments on the meaning of the law have stood the test of time. American attorneys and federal courts regularly look to such international jurisprudence for guidance while enforcing American criminal and tort law, and yet accountability of Bush administration officials remains elusive. As Sikkink points out, this in no small measure is due to the immunity provisions injected into U.S. law by the Bush team and a compliant Congress. Sikkink’s critique of what transpired in Latin America to undermine amnesty laws could inform a similar assessment in American courts. The amnesty laws conflicted with international human rights treaties to which Latin American countries are bound. Domestic courts in key Latin American countries repealed laws based on that contradiction, and the prosecutions of political and military officials proceeded. Are the embarrassingly blunt immunity provisions in the Detainee Treatment Act of 2005 and the Military Commissions Act of 2006 consistent with our international law obligations, and will they be successfully challenged in court? Or should we wait for a foreign or international tribunal to call our bluff when a hapless former Bush official vacations overseas? Sikkink has expertly explored the reality of how prosecutions of human rights violations, which so often entail atrocity crimes, are transforming the landscape of both accountability and governance. Those still skeptical of the utility of international justice must read this book. David Scheffer is Mayer Brown/Robert A. Helman Professor of Law, Northwestern University School of Law. His book, All the Missing Souls: A Personal History of the War Crimes Tribunals, is forthcoming from Princeton University Press.